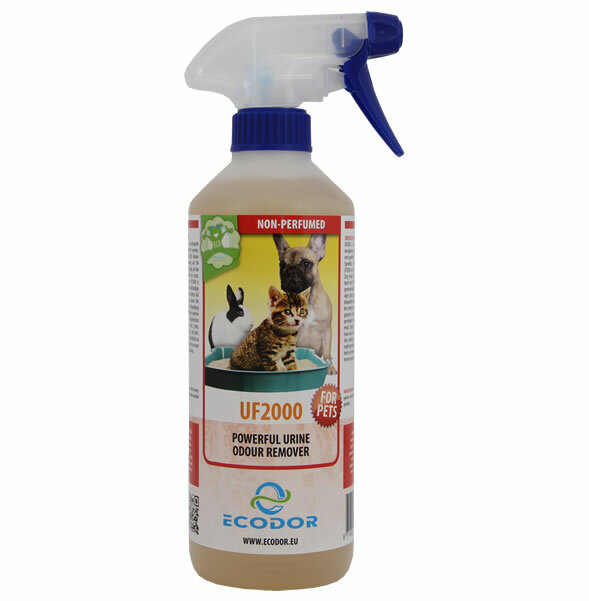 UF2000 combats urine odour. It is an effective cat, dog and rodent urine odour remover for the smell of urine that has penetrated concrete, stone, parquet, laminate, wood or seams. It is also used to remove the wee smell from furniture, carpets, vinyl or other fabrics.